These double wall glasses are made from borosilicate glass, mouth-blown by expert artisans. 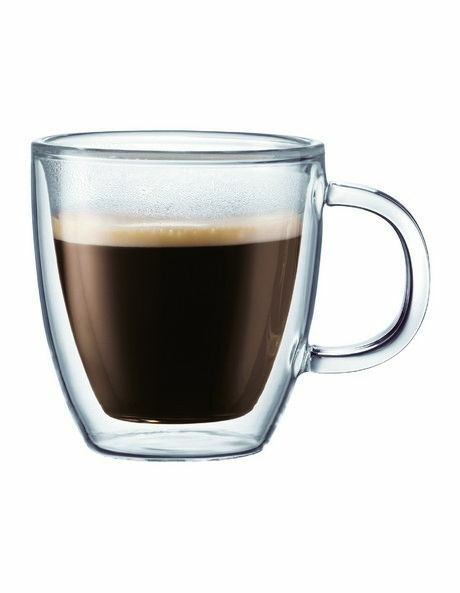 The double wall design of these glasses ensures the drinks inside stay hot or cold for longer than standard glasses. There is also no condensation when you serve cold beverages, desserts, or ice cream, therefore no messy rings on your table. The patent pending hydrophobic silicone vent at the base of Bodums Double Wall Glasses equalises the air pressure between the layers, enhancing durability and making the glasses microwave and oven safe up to 180 degrees.